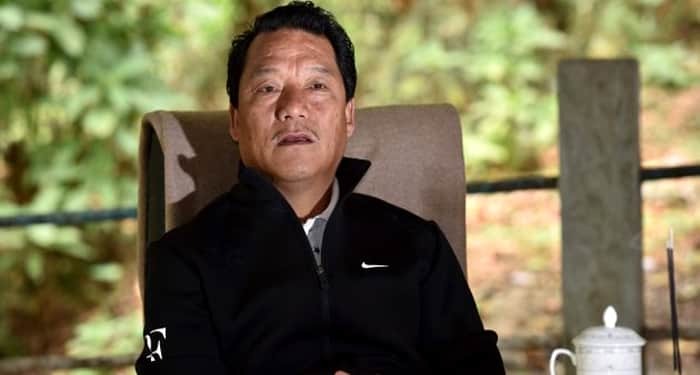 Bimal Gurung in a file photo. Siliguri: The daughter of fugitive Gorkha Janmukti Morcha leader Bimal Gurung might soon find herself in a soup as an investigation has revealed that she resorted to impersonation to secure admission for higher studies. 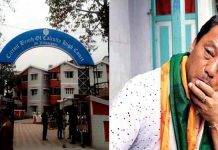 Two private English medium schools in Darjeeling Hills, which helped her in this, also run the risk of facing criminal and academic proceedings. Having completed undergraduate law studies in India, Gurung’s daughter, Annapurna Gurung (30) is now said to be in London. She is registered as an advocate with the Bar Association of Calcutta High Court. 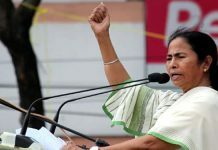 But a recent probe by the Darjeeling district administration has revealed that in 2004 Annapurna appeared for the ICSE board class X final exam from Mount Hermon School in Darjeeling and failed. Despite this, she secured admission in class XI in the Himali Boarding School at Kurseong that year itself. Annapurna used the certificate of one Nanda Gurung, who had passed the ICSE board exam from Green Lawns School at Darjeeling. After this, Annapurna went on with her studies as Nanda and even earned a law degree. 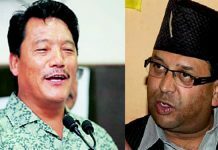 About a month ago, the Darjeeling district administration somehow got a wind of the impersonation and initiated a probe. The investigation has revealed that Nanda Gurung, is actually a girl from Rupandehi district in Nepal who used to study in Green Lawns School as a boarder. Following the sensational revelation, the Darjeeling district magistrate has sent a report to the state school education department recommending necessary action against Annapurna, Green Lawns School, and the Himali Boarding School. A copy of the report has also been sent to Gerry Arathoon, the chief executive of the Council for the Indian School Certificate Examination, to which the two schools are affiliated.